Looks good and does what it's supposed to do at a great price. I have EA70 and EA90 stems on my race bikes, got this EA50 for the winter training rig. Funniest thing it works exactly the same as the 30 and 45 gram lighter, more expensive stems! Who knew? This is a really good stem for the money. The higher end stems might be lighter but not any tougher than this one, I run this on my road machine and my XC mountain bike. Very happy with it. Nice stem. Good quality for the price. I bought this to shorten my reach to the handle bars. 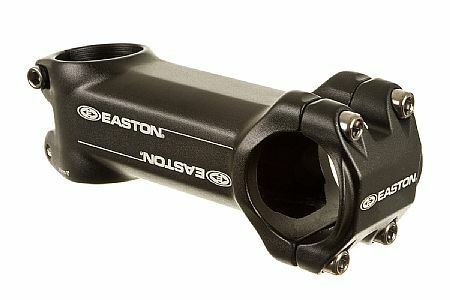 This is a solid looking stem. After reading other reviews about bolts breaking on stems I feel confident about putting this on my bike. Dependable quality at a reasonable price. I just put this stem on my travel bike, and although it is not the lightest it seems like a good balance between quality, function, weight, and price. I've got stubby legs, so I always have to ride a frame that is smaller than what my torso fits. This really helped me stretch out on the bike. I am much more comfortable on my ride now!